Hey hey! It's time for my October Unblogged Files! It's more than halfway through November and I'm just doing October Unblogged Files. Wow. Well, it's been a super strange and busy time - there's been lots changes at work and home, and my routines all up and down! But better late than never. Let's do this thing. Breakfasts! 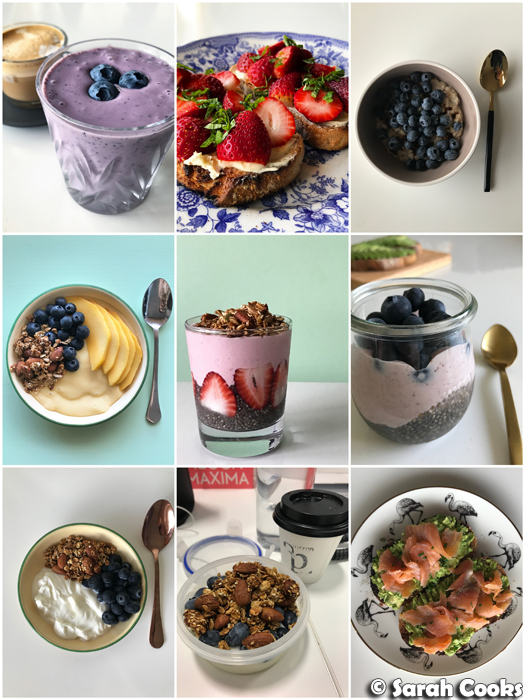 Often I was bringing a breakfast of Greek yogurt, homemade granola and bluberries to work, but I did make some proper breakfasts at home too. 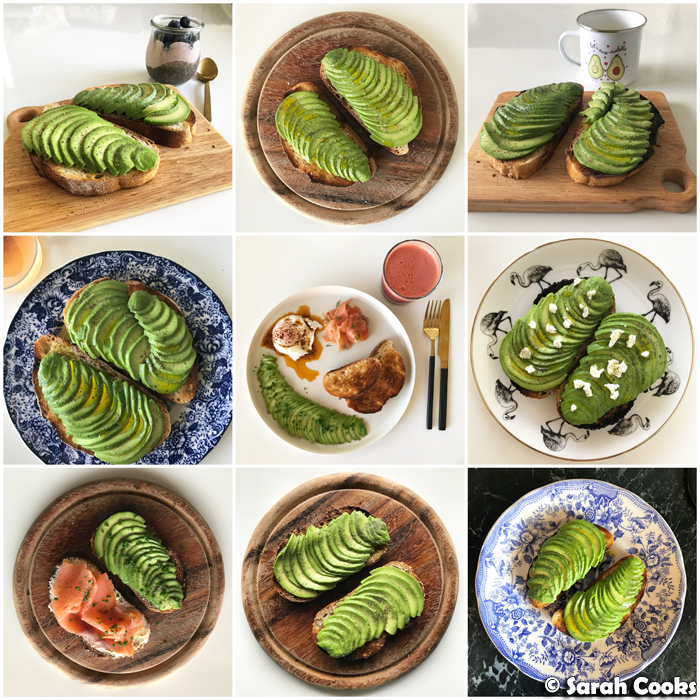 And of course there were avocados. 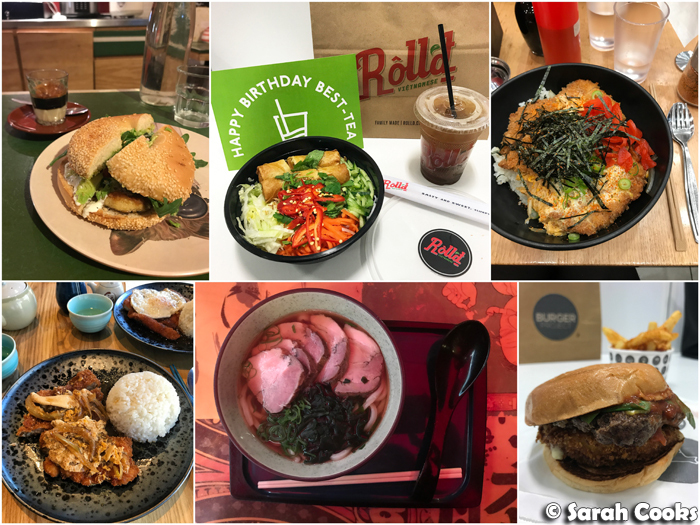 I tried a few new places for lunches in the city in October - a haloumi bagel and fancy Spanish coffee at Jungle Juice Bar (20 Centre Pl, Melbourne VIC 3000), and super fab katsu don at Oh Maki (1/391 St Kilda Rd, Melbourne VIC 3004). Also, I tried the "Italian" burger at Burger Project - a beef burger with rich tomato sauce, basil, and a crumbed fried disc of mozzarella-stuffed eggplant, and it was out of control! 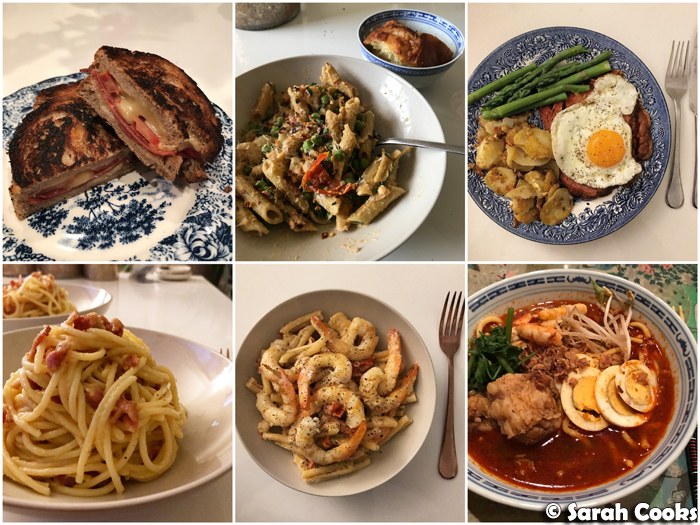 Here are some home-cooked dinners. 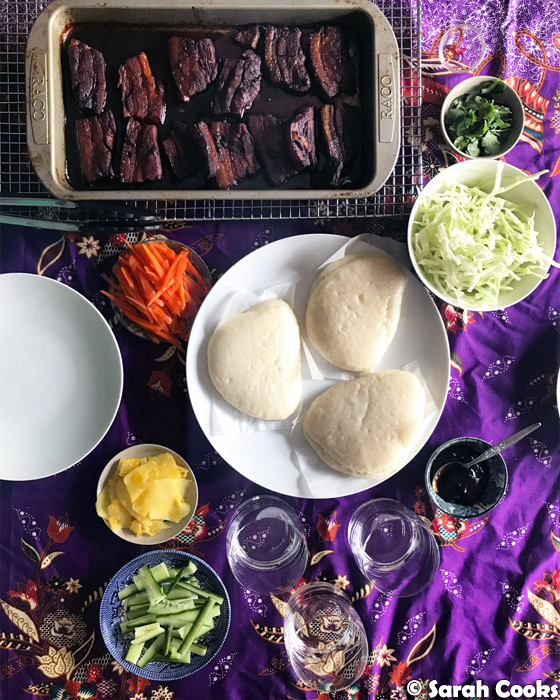 My friend Duncan had us over for lunch one weekend, and it was super delicious! 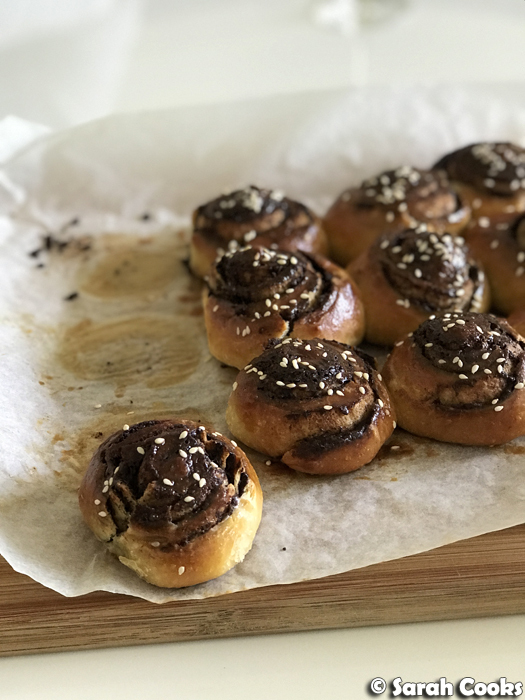 He made baos (from scratch!) with slow-braised red pork and pickled vegetables. 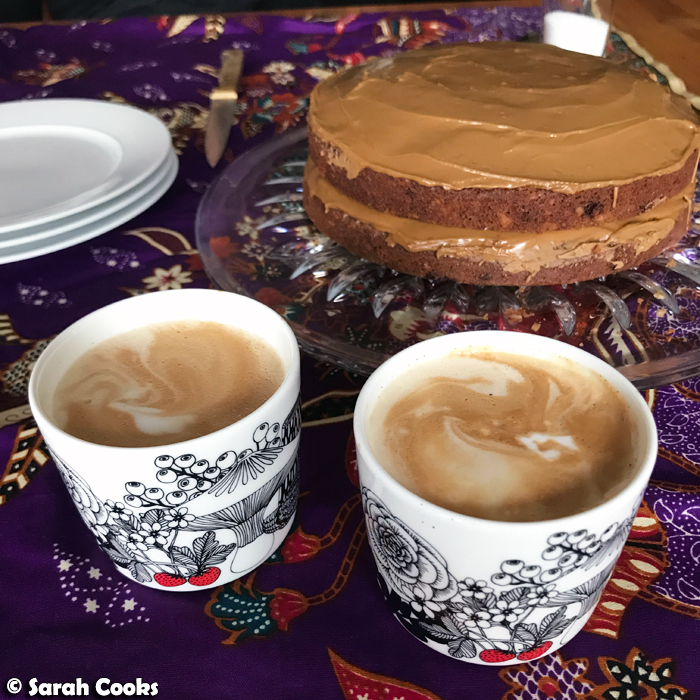 And dessert was a coffee cake with Brazil nuts, (Dan Lepard recipe), served with coffees in the Marimekko cups we got him for his birthday. Yay! 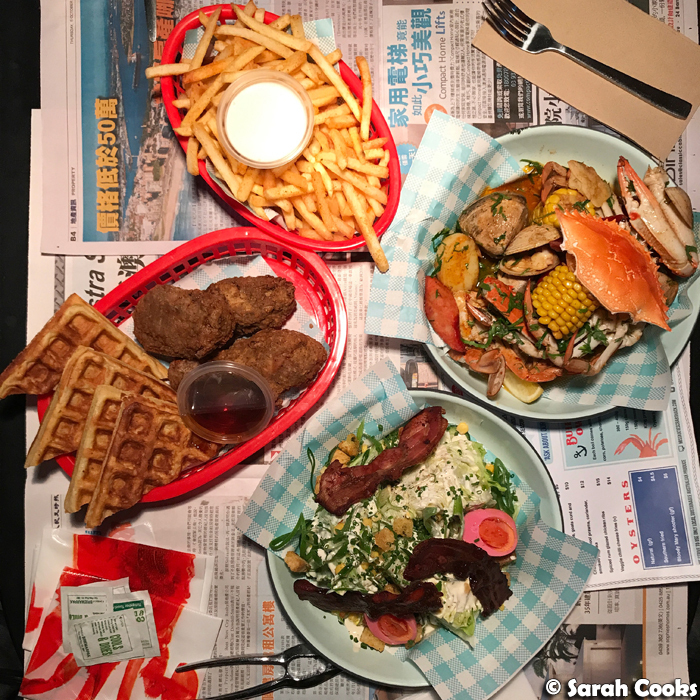 One weekend we went shopping in Box Hill, and had lunch at the always fabulous Hills BBQ (586 Station St, Box Hill VIC 3128). 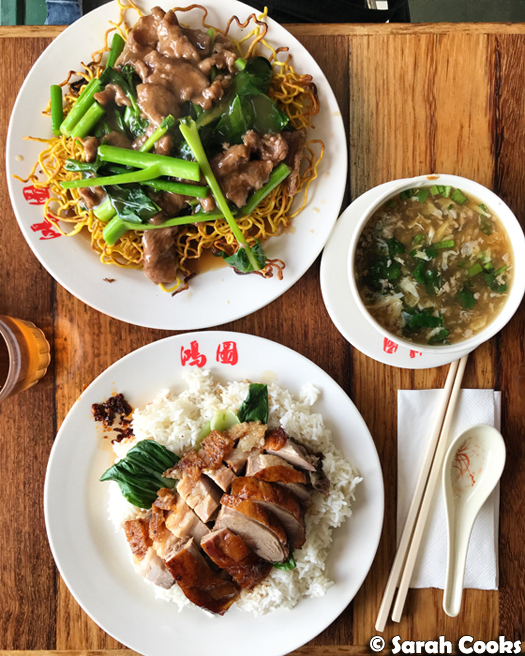 Their beef on crispy fried noodles is the best! 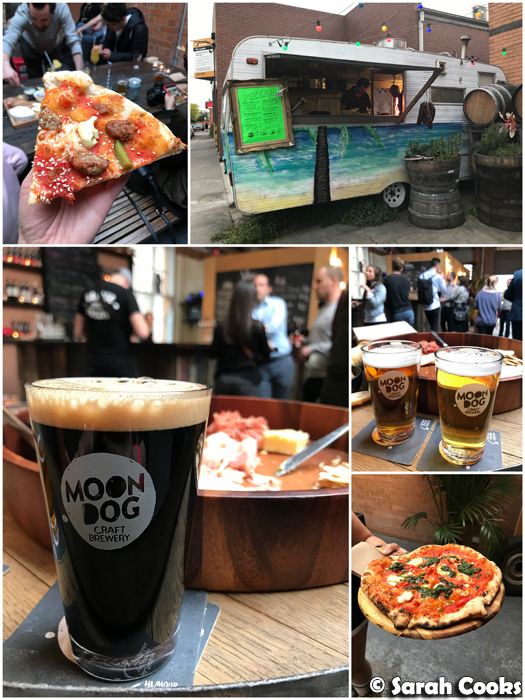 I attended a media event at Moon Dog Craft Brewery (17 Duke Street, Abbotsford VIC 3067) - lots of beers and pizza! I was seriously impressed by the quality of the pizzas coming out of that tiny truck! I also loved the Dunbar's Dream, a 9.2% passionfruit and coffee porter. 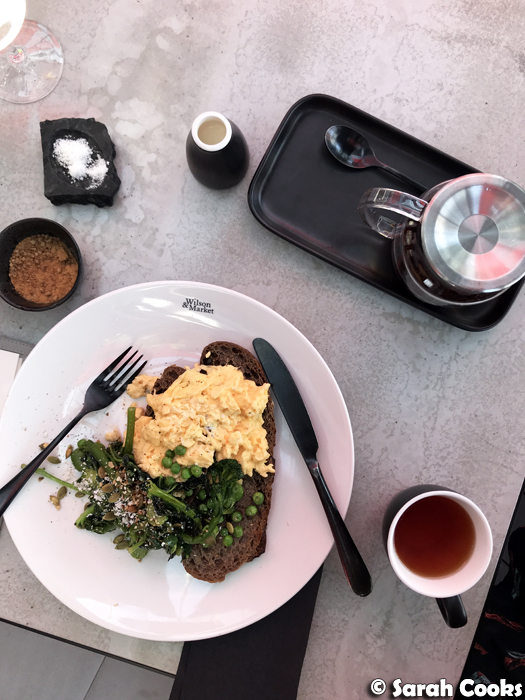 I received some samples from Egg Unlimited, a catering company that specialises in mini breads and treats, but who also do breakfasts, lunches, salads, and share hampers. 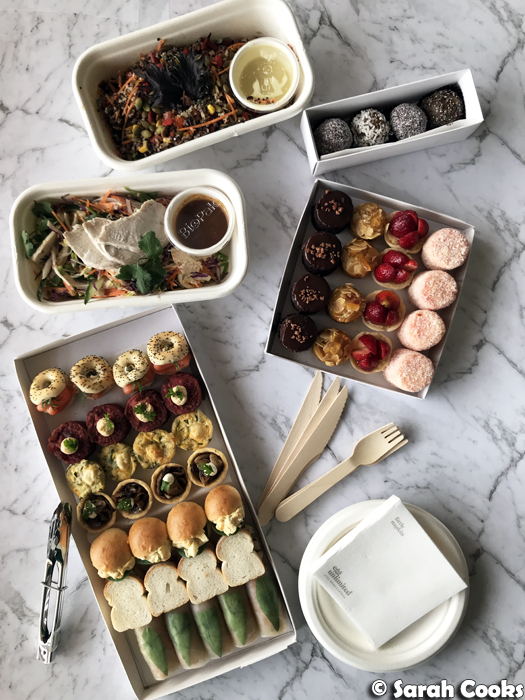 I loved the salads (particularly the coconut-poached chicken salad), the pink lamingtons and mini chocolate cakes, and the teeny tiny sandwiches. (Just look at those baby bagels - too cute!) 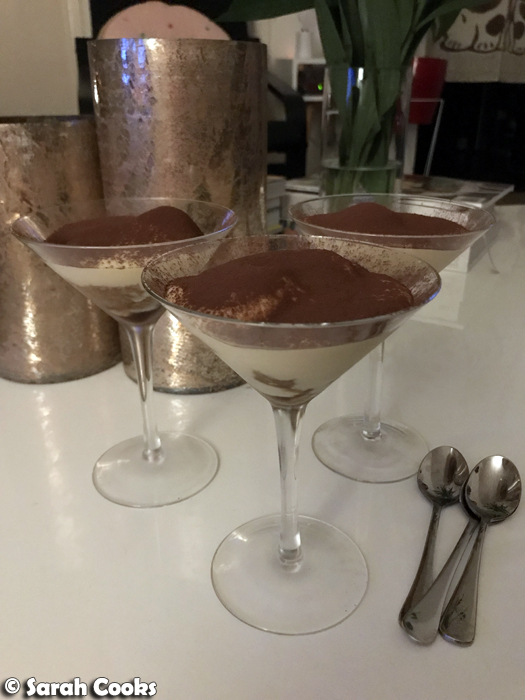 The day I received these, I happened to be having a friend over for dinner, so entrées were sorted! 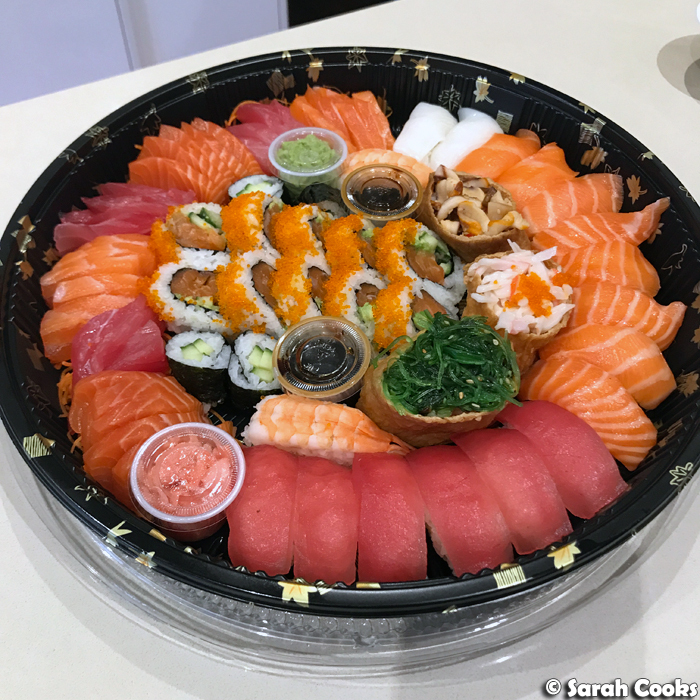 My friend An had us over one night and dinner was a giant sushi and sashimi platter. Awwwww yeah. ... followed by a stroll around the cheese festival. I picked up one of these push pops from the Glace Frozen stand and it was so delicious! 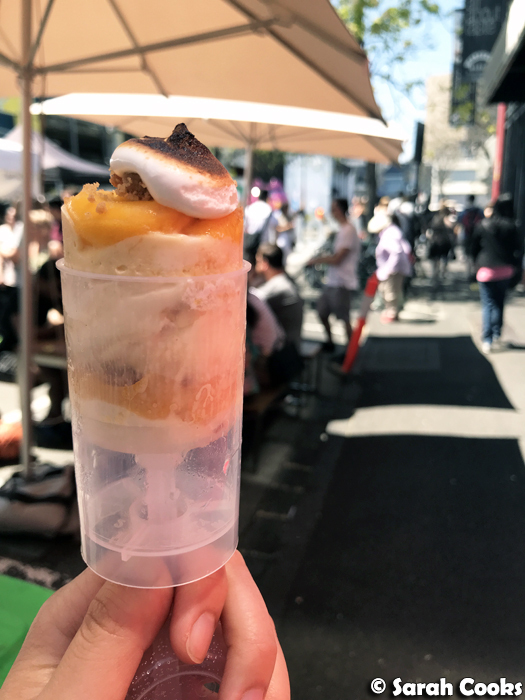 From memory it was mango sorbet, a cream cheese ice-cream, torched meringue and crunchy biscuit pieces. Yumtown. I really wanna visit Glace Frozen now! We then went to see a revival screening of Psycho at the NGV (I hadn't seen it in ages, it's one of my all time favourites, and I was so thrilled to see it on the big screen! 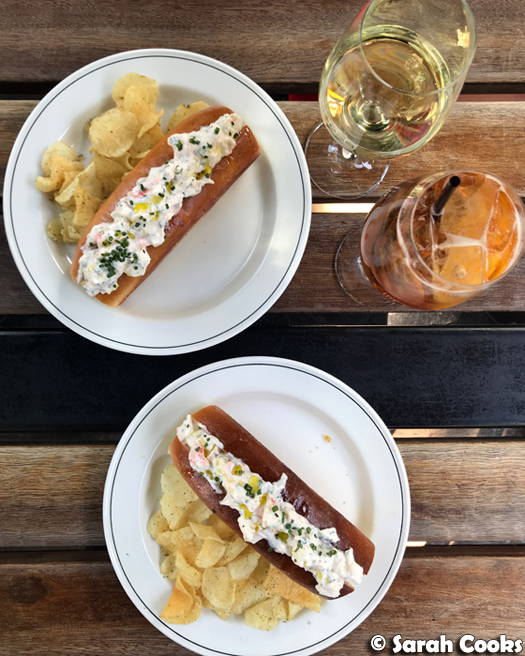 ), followed by lobster rolls and rosé at The Arbory (1 Flinders Walk, Melbourne VIC 3000). Such decadence! And at the end of October, we had Halloween! 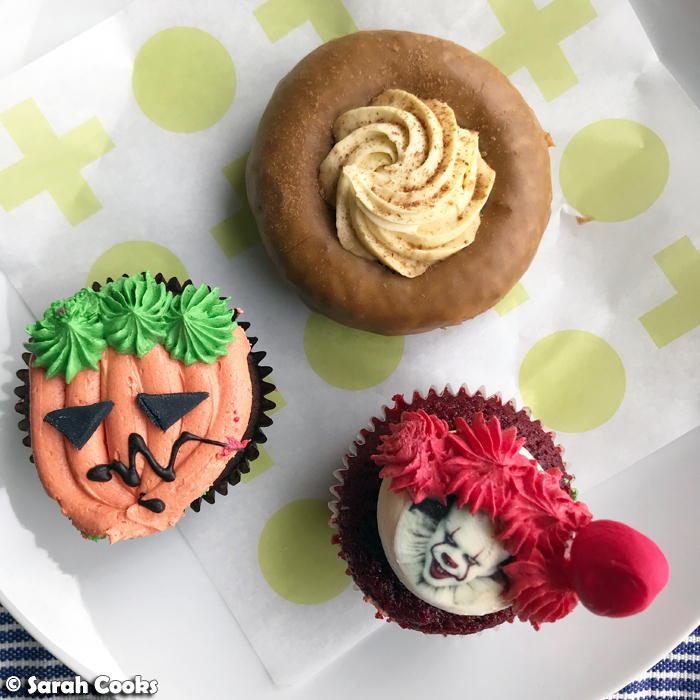 I'm not really one for Halloween celebrations, but I couldn't resist these seasonal offerings from Short Stop (Pumpkin Spice Latte donut!) and Cupcake Central. A Pennywise the Clown cupcake! Yessssssss! (Also, I realise this is now two Stephen King references in the one post, woop woop). And that was October! 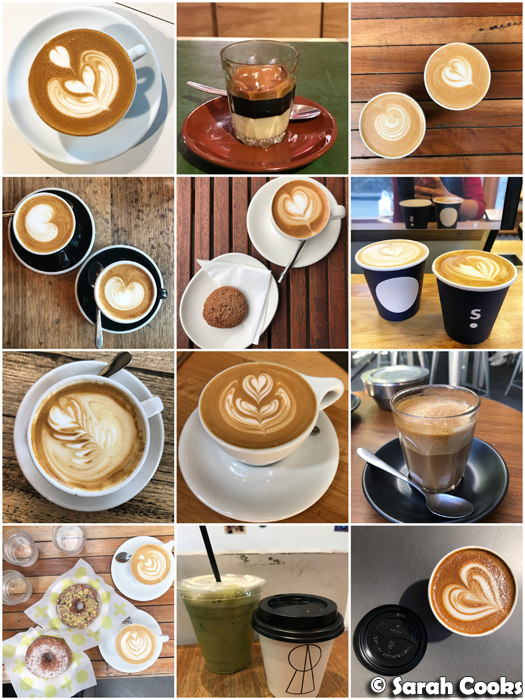 Plans for November (most of which are already done, hah) - a trip to Tassie, lots of brunches, a few events and general fun times and hangz with friends!